It’s certainly been a long wait, but summer will officially be here in South Orange on Thursday, June 21 and we can’t wait to celebrate the warm weather with tasty ice cream cones, inventive flavors and every topping imaginable. Here in South Orange, we have tons of stellar ice cream options for locals. 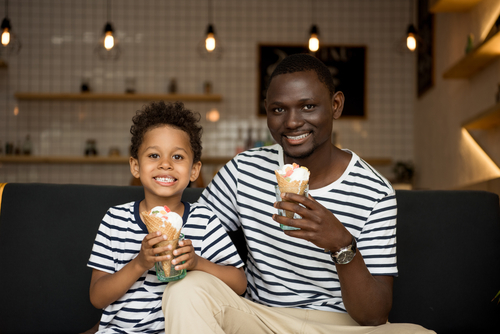 Whether you’re craving a cone after a long day at work or you’re looking for that dessert to hit the spot after a night on the town, check out these ice cream parlors near your Third and Valley apartment and get the summer started! Carvel, located at 109 S Orange Ave, South Orange which is a six-minute walk from your Third and Valley apartment, is a circa-1934 chain known for its soft-serve ice cream and custom cakes, mainly for takeout. Ideal for Father’s Day, you can also wow family members with one of their ice cream cakes. Their legendary, handmade creations combine layers of Carvel premium vanilla and chocolate ice cream with their famous chocolate crunchies! Give them a call to special order a cake in the flavor combination of your choice. Cold Stone Creamery, located at 3 Sloan St, South Orange which is a five minute walk from your Third and Valley apartment, is an ice cream chain offering design-your-own creations hand-mixed on a granite slab, plus shakes and more. For more than 25 years, Cold Stone Creamery has served up the finest, freshest ice cream, cakes, smoothies and shakes using only the highest quality ingredients, and of course, their signature process of preparing your custom ice cream creation on a frozen granite stone.